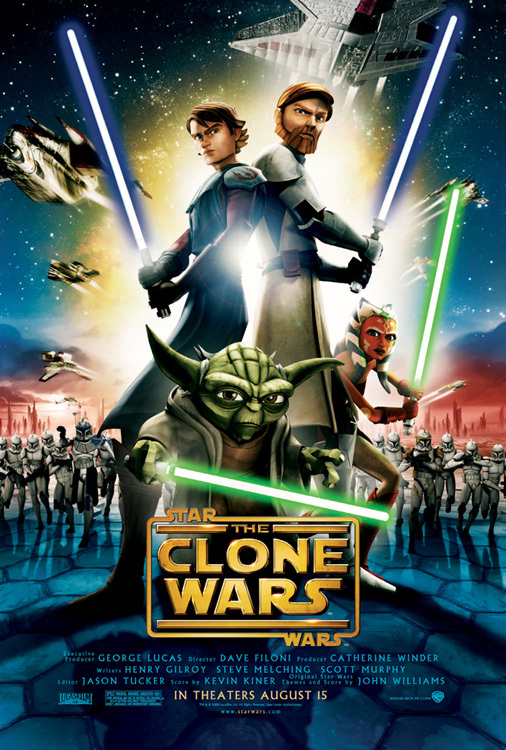 LucasFilm has released the theatrical one-sheet movie poster for Star Wars: The Clone Wars, the animated feature film set to release on August 15th. LucasFilm also announced that the movie trailer for the film will premiere on Cartoon Network, TNT, TBS, CNN, and Boomerang at 7:58 p.m. in all U.S. time zones on Thursday, May 8th. The trailer will also be attached to prints of Speed Racer, which releases on Friday. Photos after the jump. 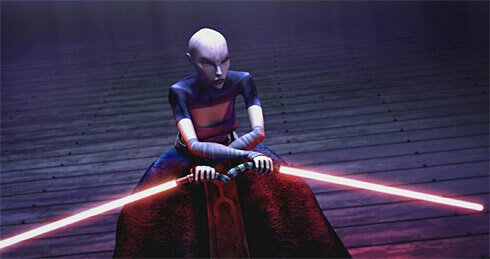 USA Today has also put up a new image from the film, showcasing the villain Asajj Ventress.